Currently noise issues are dealt with by police under the borough’s Nuisance Ordinance. The idea for a standalone noise ordinance came up recently after a Main Street resident approached council to complain about noise from a nearby restaurant’s patio, where live music is sometimes performed on weekends and speakers project recorded music at other times. 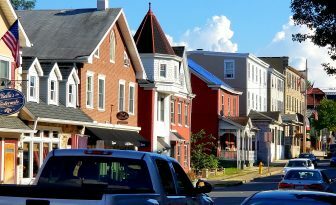 The owner of 1774 Grille & Tap then asked council to consider adopting a noise ordinance similar to what cities such as Bethlehem and Easton have in place, that would codify when music can be played outside and how loud it can be. Council members said that since there have been no other complaints and based on chief of police Robert Shupp’s recommendation not to change anything, there is no need to draft a noise ordinance at this particular time. Council voted unanimously to permanently table the noise ordinance discussion. Mayor David Heintzelman commented that he sat outside the Main Street home where the residents said the noise was disturbing their family time inside their home. If Hellertown borough residents do experience nuisance noise, they should report it to borough police by calling 610-759-2200, which is the Northampton County Communications Center’s non-emergency number.